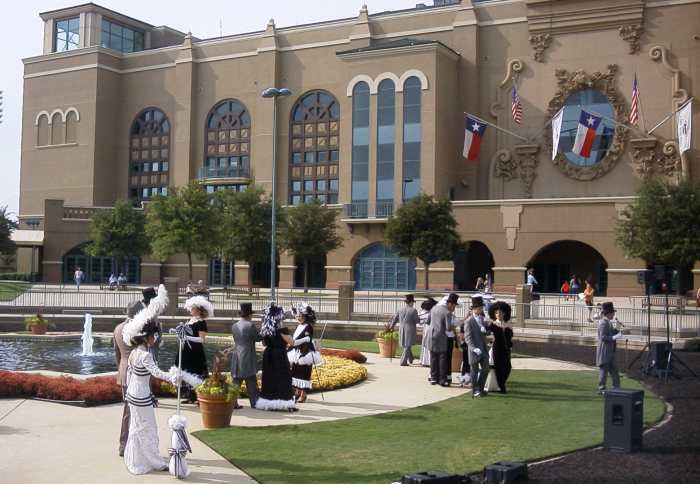 I got invited to go along with Angie and a bus load of realtors to Lone Star Park to watch the horses run. Remembering our first time, I almost passed, but I'm glad I thought better of it. The accommodations were noticeably better than when we went with Alcatel. I was the unofficial picture taker of course! 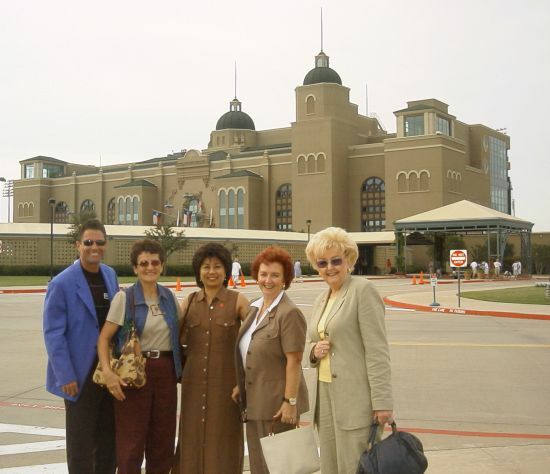 L-R: "Hollywood", Connie Thomas, Angie Harrison, Pat May, Jody Riley. As soon as we got in the gates, we met up with this group of folks. We figured out real quick that we might be just a tad under dressed for the occasion, but they turned out to be our evening's entertainment. 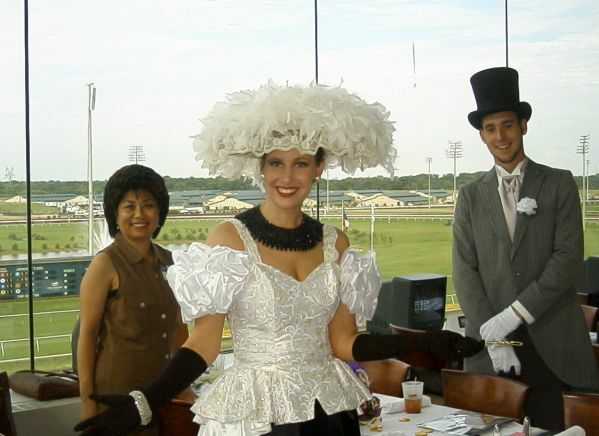 They were a troupe singing "My Fair Lady" and acting out the scene at the race track. They readily admitted that their attire didn't fit Texas very well! We made our way upstairs, past the free buffet, and down to the front of the room just in front of the finish line. Could not have asked for a better seat. At this time folks are filtering in, picking seats, ordering drinks, and heading for the buffet line. 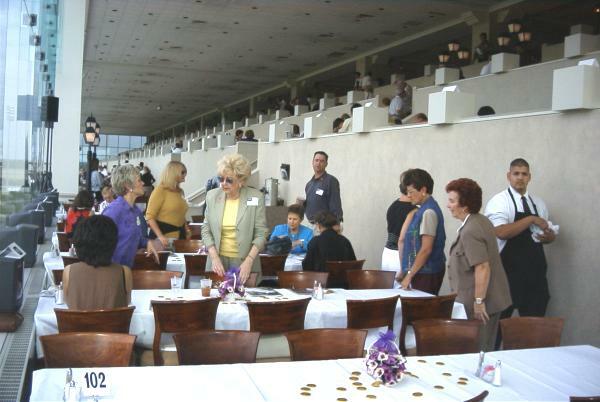 We were doing purse watching duty while the rest of the gang went to the buffet line for chow. As we were waiting we were joined by some of the entertainers from the "My Fair Lady" troupe..